Since we launched our Port of Mokha coffee, we’ve witnessed some beautiful moments with our guests and our own staff. For many of us, it’s been a vivid reminder of why we do what we do, a reassuring proof that serving delicious coffee can make a difference in the lives of people we meet in our cafes and the farmers we’ve yet to meet in Yemen. 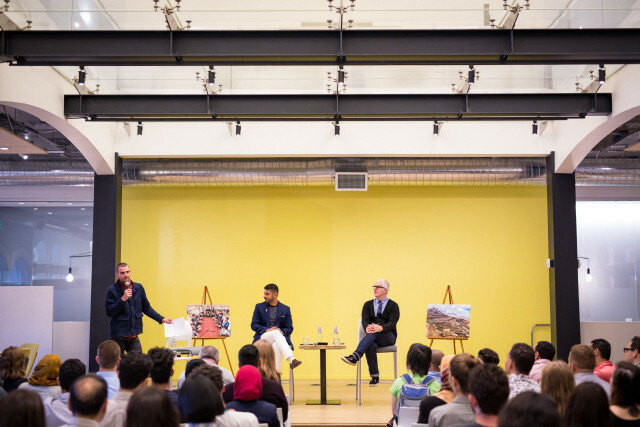 Our chapter of the story of coffee in Yemen began a few weeks ago with an evening in conversation with the people responsible for bringing this coffee to our cafes: James Freeman, Mokhtar Alkhanshali, and Charlie Habegger. Mokhtar told us about the farmers’ struggles to grow coffee and how his project, Port of Mokha, is reviving Yemen’s coffee legacy. Farmers are learning how to grow the most beautiful coffee cherry and in turn are earning better wages for their families. One farmer said that Port of Mokha has covered the cost of six weddings in their village. Then, when we released the coffee online and in our cafes, a wonderful thing happened. We got to hear some really nice things from guests. We read encouraging words by people who understood and supported our obsessive quest for great coffee. And we personally relished the coffee at our desks, on our breaks, and behind our coffee bars. All told, the past couple weeks with Port of Mokha have been like getting all our guests and staff across the country together to share one cup of coffee. If you haven’t already, we hope you get the chance to share a cup or two with us soon.